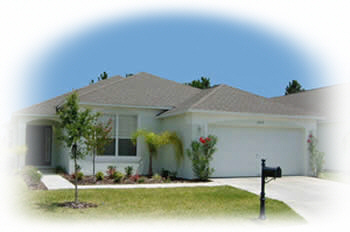 Welcome to our web site and our holiday home in Florida. Whether you want to visit the theme parks, play some of Florida's superb golf courses, fish in the lakes or shop in some of the numerous malls we hope by the time you have finished viewing Green View Villa you will decide it is the place for your stay in the sunshine state. Green View Villa is a luxury home with its own salt water filtered swimming pool. It is fully air-conditioned with 4 bedrooms and 3 bathrooms (2 master suites each with an en-suite bathroom and 2 twin bedrooms which share the third bathroom) and sleeps 8. It has all the comforts of home including wi-fi and a desktop computer. The villa overlooks a green at the prestigious Southern Dunes Golf and Country Club, a gated community 40 minutes from Orlando International airport and 20 minutes from Disney gates. Using the Interstate 4 which runs from the east coast to the west coast all of Central Florida's famous attractions are within easy reach. Southern Dunes is in a tranquil setting on the US 27 south of Interstate 4. Just outside the main gates, walking distance, is a range of supermarkets, petrol station, bank, chemists, Blockbusters and a variety of restaurants, including the very popular Manny's Chophouse. Southern Dunes golf course is ranked in the top 100 modern American golf courses. It was designed in 1993 by Steve Smyers and its dramatic hillside layout stretches to over 7,200 yards and features 100ft elevation changes, which are not typically found in Central Florida. We hope you will now look at the rest of our site and decide that our villa is what you are looking for.